There’s no end to the information that needs to be collected, organised and stored. Our loop-stitched brochures make it easy for you to do it all – at the same time! Thanks to loop stitching, reports etc. can be quickly and efficiently filed away in large lever-arch files or ring binders. You can choose from popular DIN and other formats, a wide range of paper types and weights and page counts from eight to 48. 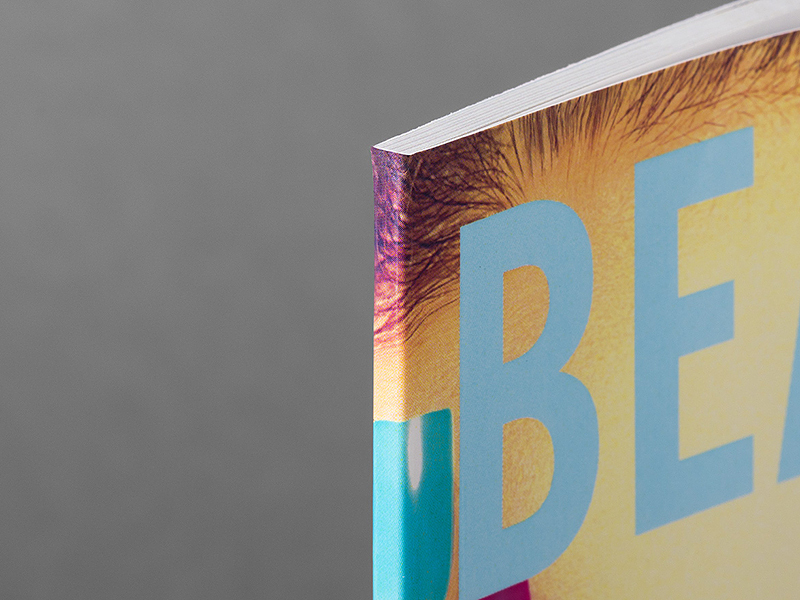 And our full-colour double-sided printing makes sure they look great! 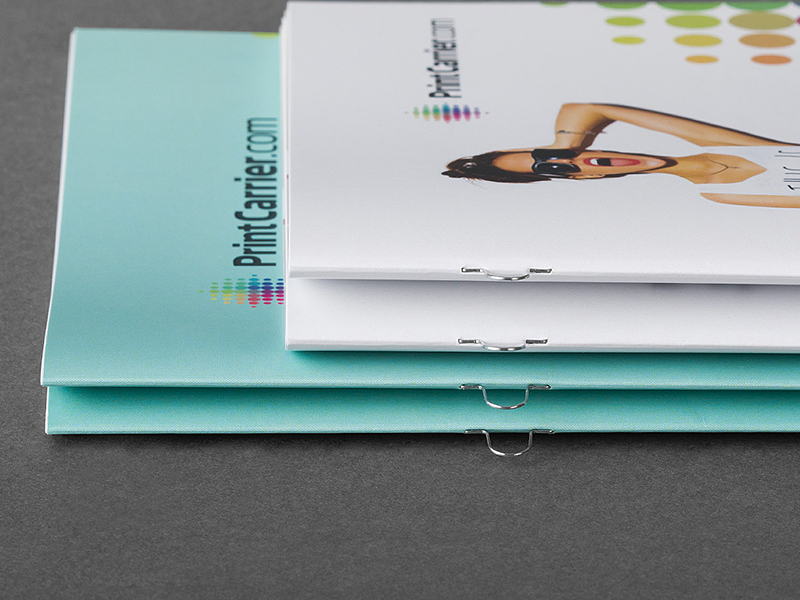 If you use our stapled brochures for your publications, they are guaranteed to make a great impression. We print every sheet in full colour on both sides, and you can choose from a large range of formats from A4 to A6 portrait or landscape, in addition to square and special sizes. You also enjoy enormous flexibility for selecting the paper, as many different kinds, thicknesses and weights are available. After making all these choices, you only have to decide on the page count: the minimum is eight and the maximum is 64 pages. 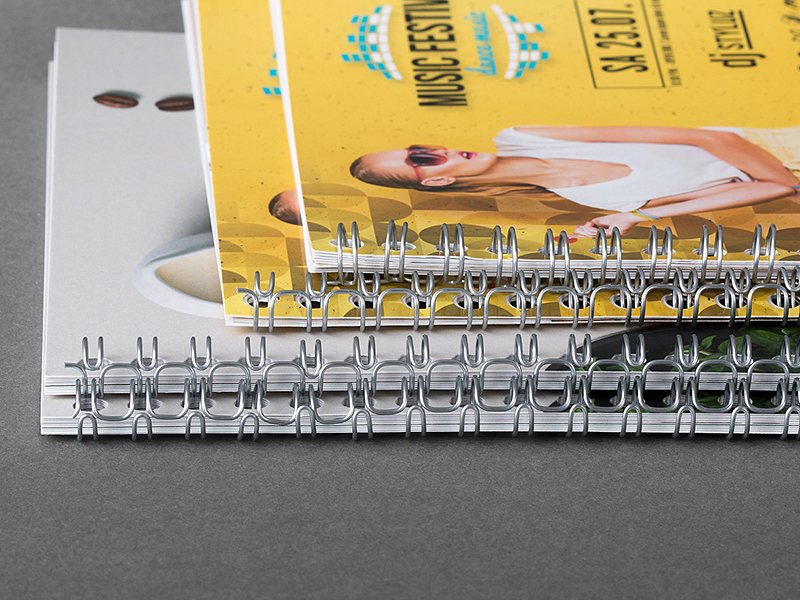 Wire-O bound brochures are genuinely versatile: they can be used as magazines, menus or even catalogues. 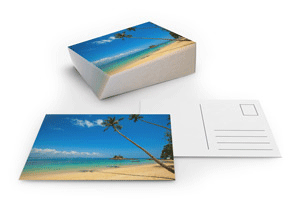 We offer them with a minimum of eight and a maximum of 64 pages, and their plastic lamination will keep them looking like new for a long time to come. You can choose from a variety of DIN and square formats and select suitable papers for the covers and inside pages. 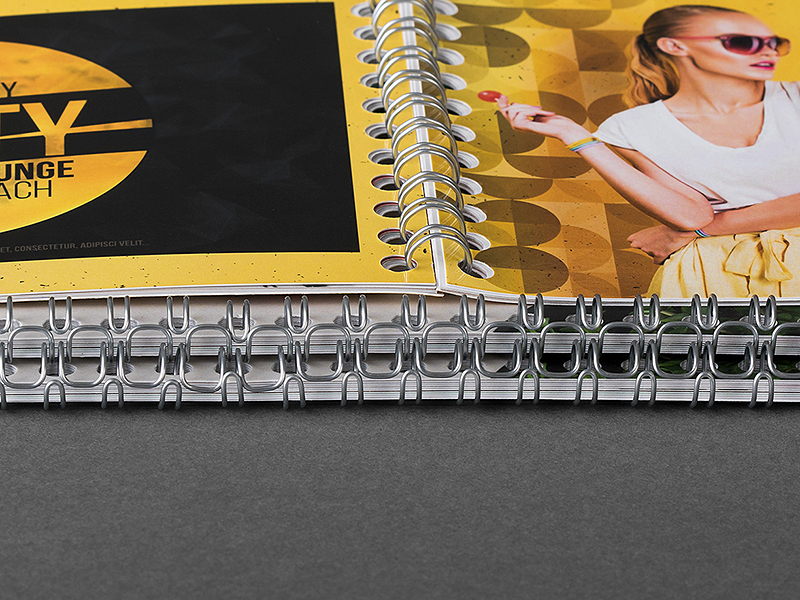 For print products that will be browsed and used on a daily basis, our PUR adhesive (perfect) binding is ideal, as it ensures a long life for your user manuals, catalogues or price lists. They also make doctoral dissertations and the like even more impressive. We print them in DIN formats from A4 to A6, across DL and square to a special format measuring 17 by 24cm – on any paper you choose. Do you need print products that mainly contain text, such as price lists, manuals or financial reports? 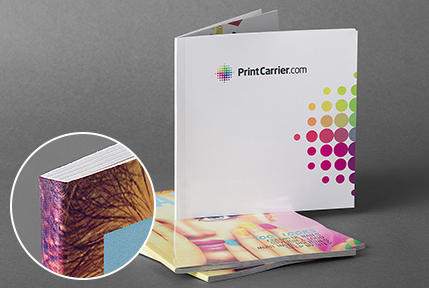 If that’s the case, you should choose our inkjet-printed brochures with PUR perfect binding for sturdy, long-lasting results. We’ll produce your job in A4 or A5 format on your choice of paper; the cover and inside pages can even have different weights and surfaces. 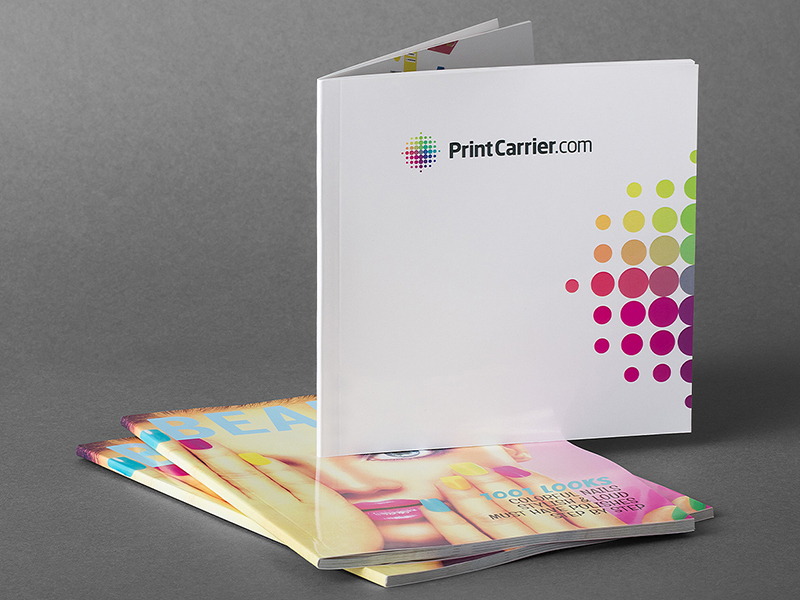 Why printing your brochures at PrintCarrier.com? 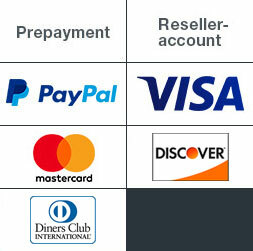 We keep focused on our customers – that’s why we launched PrintCarrier.com! Are you looking for a print shop that can not only produce your brochures quickly, economically and highly professionally, but also print posters without hassle, unproblematically produce flyers and leaflets, and print stickers and labels without stress? If so, you’re a lot like us back in 2004. We searched for a printer able to meet these prerequisites – and failed. 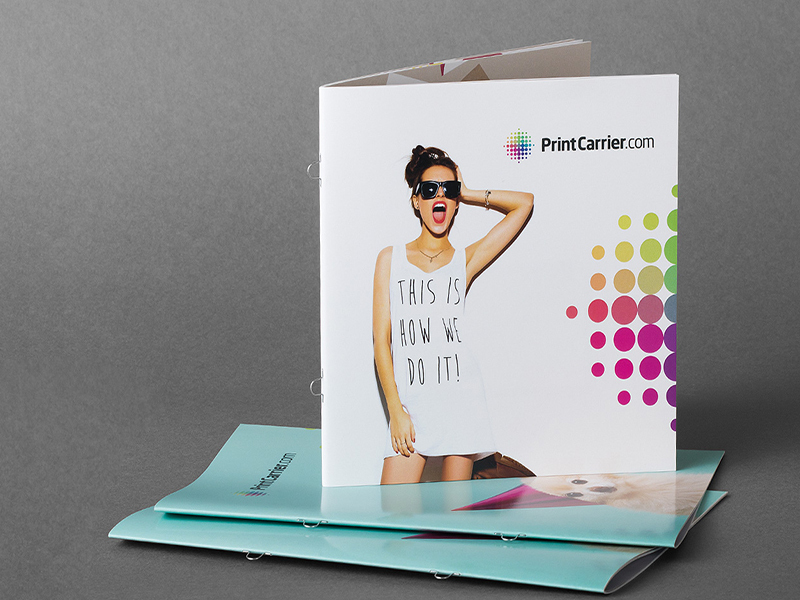 This experience inspired us to establish PrintCarrier.com and realise our own vision of the ideal print shop, which is able to turn all jobs round at minimal cost. And without letting the quality of our work suffer as a result. Of course, our efforts to ensure top quality start well before actual printing: with advice for our customers. For example, because we know that a brochure is actually much more than just a brochure. All kinds of different print products fall under this heading: magazines, school newspapers, menus, catalogues, graduation theses, pamphlets, product information booklets and so on and so forth. Even today, we regularly take the time to switch sides and assess our work from the customer perspective. 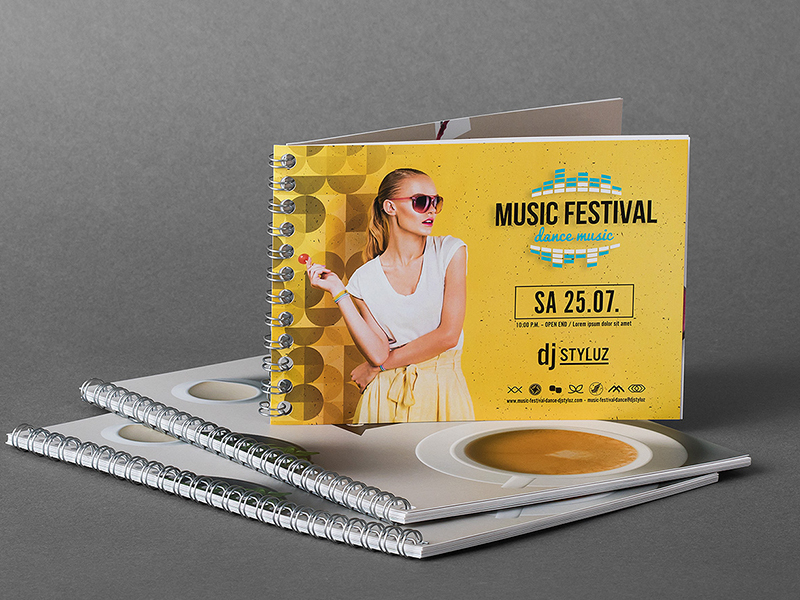 As we use the term, “brochure” refers to publications that serve a wide range of purposes, come in all sorts of sizes, formats and page counts and are bound in a variety of ways. They include, for example, magazines, pamphlets, booklets, dissertations and so on and so forth. Perfect binding, for example, involves pretty much the same process regardless of whether we’re printing a 36-page high-gloss magazine like Vogue, Good Housekeeping etc. or a 380-page literary work, a biography or a whodunit. From our perspective as printers, it’s all the same: to keep things simple, we call them all brochures. Sometimes with more pages, sometimes with fewer. Sometimes in A4 format, other times square. Sometimes stapled and other times with wire-O binding. Who belongs to the target group or potential readership? What is the brochure’s purpose: to advertise, inform or guide? How many pages should it have? What do you want people to do with it after reading: store it in a lever arch file, shelve it, display it? How long will its contents stay relevant? How will the printed brochures be distributed? The answers to these questions will help you choose the format, page count, paper type and weight and so on. It goes without saying that you can have a masters or doctoral dissertation printed in a different quantity from a customer magazine or a product pamphlet. It’s up to you! We’ll print all kinds of brochures for you in quantities ranging from just ten documentary studies with wire-O binding all the way to 20,000 loop-bound brochures. The important thing is for you to order the right amount for your goals and target group. As protection or designed to attract attention, covers provide a valuable service. They are typically somewhat thicker than the inside pages. As a result, they lend greater stability to your brochure, booklet or catalogue, which also becomes easier to hold as a result. Having said that, a cover isn’t absolutely essential. 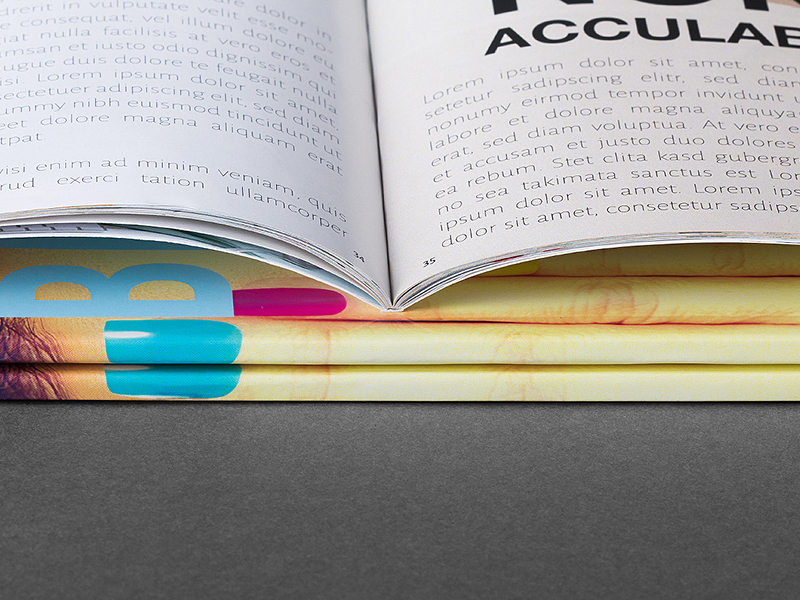 If you want, you can also have your publication printed on the same type and weight of paper from front to back. Brochures are usually used to present products or a firm, describe how a machine works, showcase a portfolio of services, report on your school leaving class or news at work, publish a masters’ thesis or review the last business year. Across the whole range of possible topics, texts and pictures are typically both important. 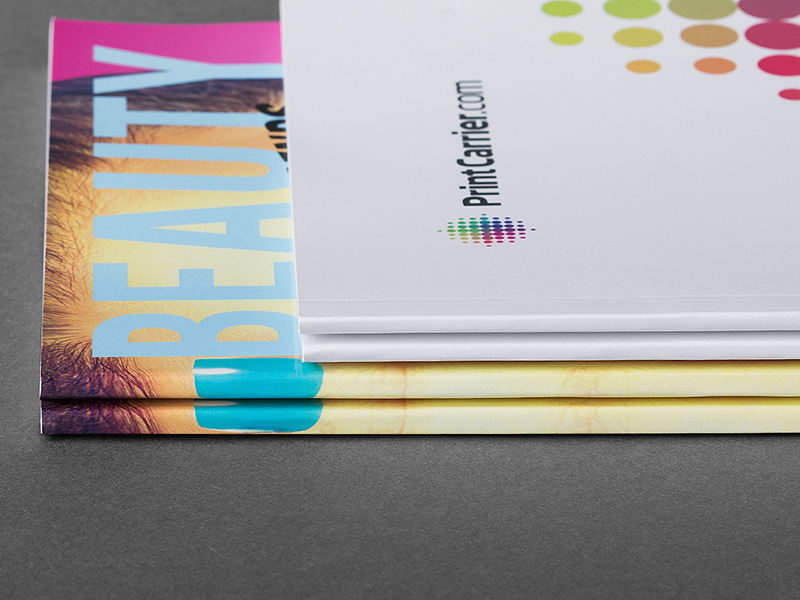 We therefore always print brochures and magazines in full colour. If you will be distributing or passing out your brochures by hand only – i.e., always personally – then neither their size nor the kind of paper nor the number of pages will affect your outlay for distribution. But if you’re planning to send them out by post, it’s a good idea to keep an eye on your postage costs. We offer you a variety of papers in finely graded weights and standard DIN formats. And don’t fret – even if you opt for a slightly “lighter” paper, we assure you that it will also feel like a million. After all, we purchase all of our paper exclusively from highly reputed German producers. The following sections contain detailed information on formats, paper weights, page counts and binding methods, as well as on the requirements and uses that these four parameters are suitable for. 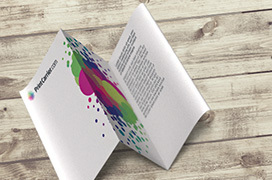 Along with valuable tips on designin and layouting your brochure. So read on to benefit from our expertise, which we’re delighted to share with you. 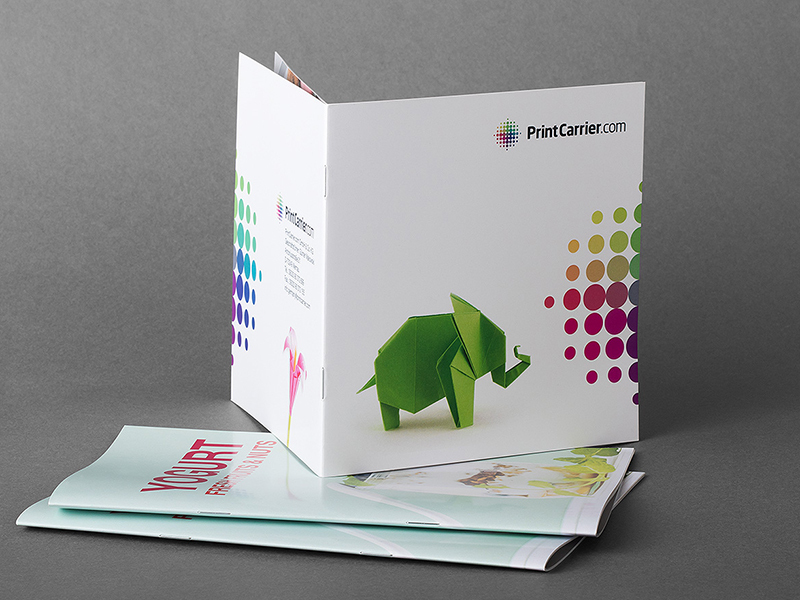 We print brochures in a total of 12 different formats. Whether you want A6 club magazines to fit in the pockets of baggy jeans, A4 product catalogues that can be easily stored in a lever arch file or attractive guidebooks. You decide which size and dimensions best suit you and your goals. 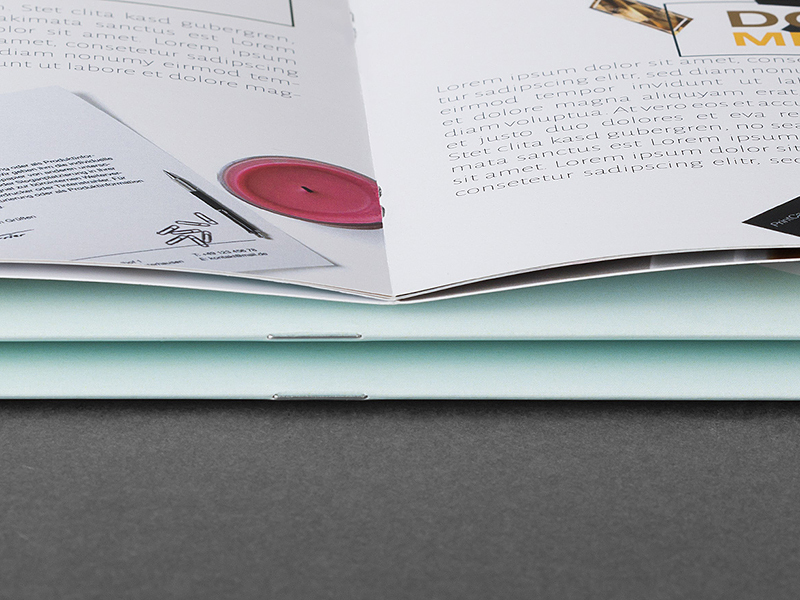 The paper’s weight and strength determine how your brochure will feel when held and leafed through, as well as how much continual use it will tolerate. We have put together five tips to help you find the right paper weight or weights for producing your brochures. Armed with this knowledge, you can then confidently make the right choice among the 35 versions offered in our online print shop. For brochures that are displayed and handled by customers or staff or other readers multiples times a day, you should go for strength. 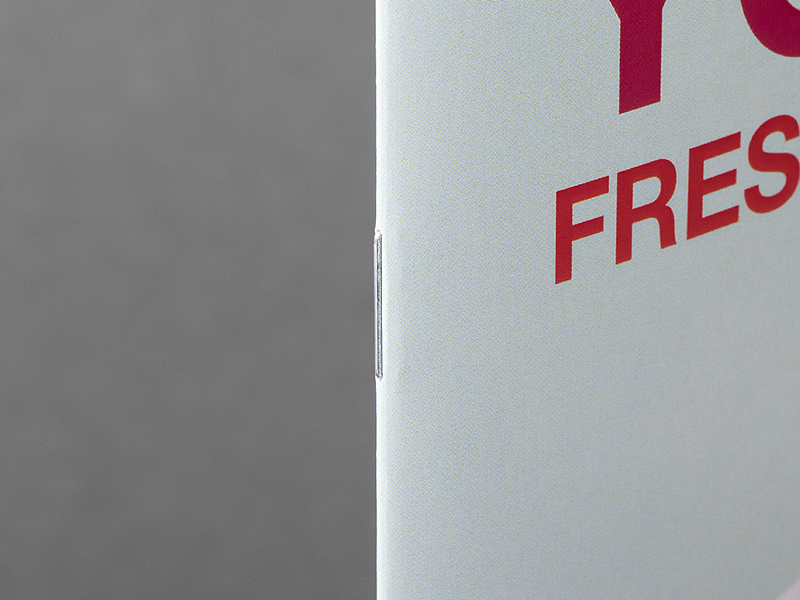 This means a weight of at least 135gsm, at least for the cover. Otherwise they will quickly look worn and limp. You definitely want to avoid that, as it makes a poor impression. 2. Choose lightweights to reduce costs. 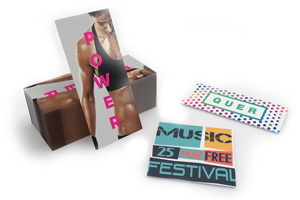 If you change your product range and prices every month or quarter, sending an updated brochure to 10,000 or more customers every time, it is, or ought to be, clear that going for lighter papers – weighing 70gsm, 100gsm or 120gsm – will keep your printing and mailing costs down. 3. Make it strong on the outside and soft on the inside. 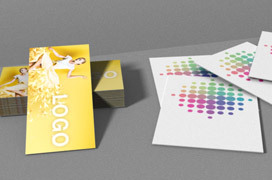 Combinations of different paper weights for the cover and inside pages are especially well-suited for product brochures. 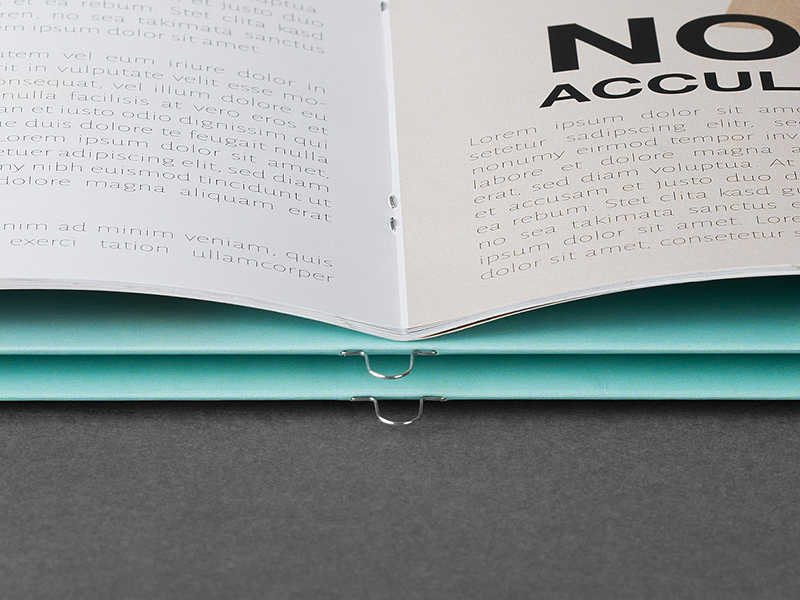 The somewhat sturdier covers – weighing up to 300gsm – bolster your publication while the more delicate inside pages – which can be as light as 70gsm – make for easy page turning and prevent dog-ears. This keeps your brochures looking good even after they have been read a few times. In addition to different paper weights for the inside and outside, we also combine various surface types. For example, a glossy 250gsm cover around matt 170gsm inside pages. Or both glossy or both matt. While you’re at it, you’re also welcome to shine on the covers of your brochures – especially by adding photographs that speak for themselves. 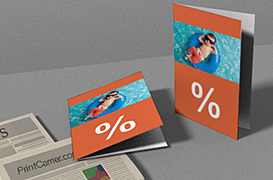 Most of us assume that a brochure’s contents determine its page count. Actually, a few other factors also play a role. Read more about them here. A grid is a kind of template that you use to align pictures and text. It makes sure that they begin and end in the same places on every page, following a fixed pattern that can span one, two or three columns. The grid also defines how much white space there is between blocks of text and pictures. Make sure there is plenty of it – the eyes need to take a rest every now and then. 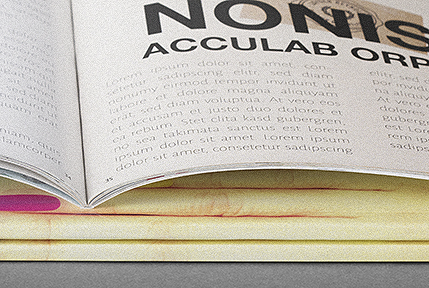 It’s better to print a few more pages than to cram text and pictures too close together. Larger text occupies more space and adds to the number of pages. Of course, not every typeface runs the same. Some take up less space than others even though they theoretically have the same number of points (font size). It’s important to keep the target group in mind when making these choices. Older people and children prefer larger fonts than readers aged 25 to 35. We advise you to conduct some tests of different font sizes, spacings and readability, and to plan on a few more pages so that the text will have the space it needs and encourage people to read it. It makes sense that a ten-page A4 MS Word document will have quite a few more pages after being layouted as a DL brochure. Especially if pictures and graphics are added. It therefore makes sense to insert all of the text and planned pictures etc. into a rough draft to check the page count and how everything looks before making a final decision. When you look at the page counts in the brochure section of our online shop, you may think it strange that they always increase in multiples of four. No, not always – the exception confirms the rule. Wire-O binding lets the number of pages grow by twos. This is due to production-related constraints that not even we can overcome. So odd page counts, unfortunately, aren’t an option. If there is only enough content to fill 22 pages, for example, then in most cases there will therefore be an extra two blank pages for notes at the back. 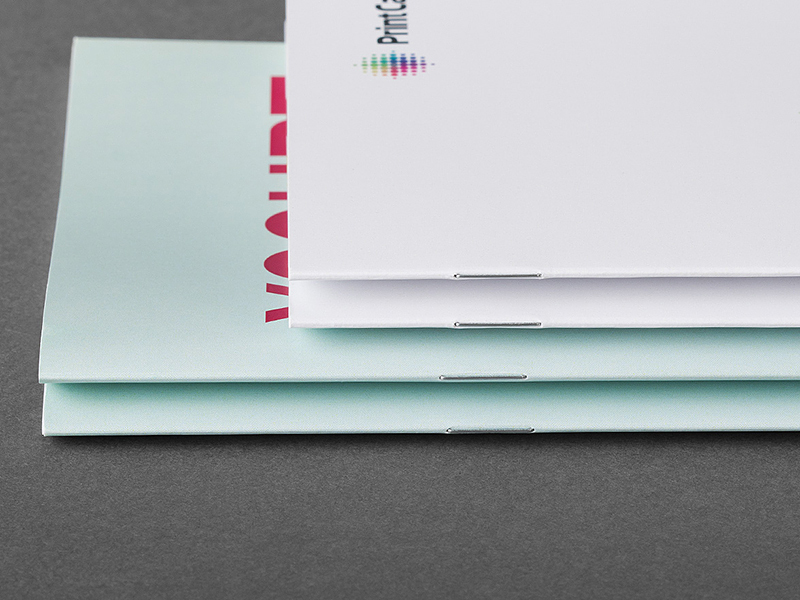 We produce up to 148 pages with a combination of two different paper weights – 135gsm for the cover and 70gsm for the inside pages – also with saddle-stitching. We are naturally also open to special wishes, provided that they are technically doable. Please ask us! 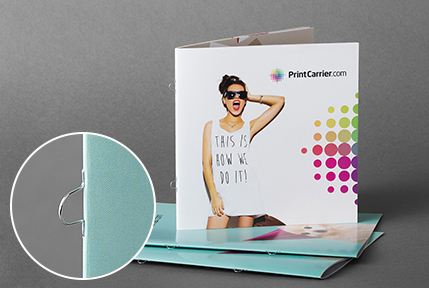 We currently offer four different types of binding for brochures. Each of them is suitable for a certain range of page counts. The limits are set by our postpress finishing machines. There is a certain amount of overlap, however, and in most cases the choice of binding will depend on what you want to produce. Or have you ever seen a book with wire-O binding or a perfect-bound menu? Even in the unlikely event that you have, the exceptions tend to confirm the rule. Spine stapling, also known as saddle-stitching: Two wire staples are driven through the spine to hold the pages together. They are only visible on the spine and in the centrefold. Loop binding: Staples are also used here, but special ones with a protruding loop. They make it easy to archive items in a ring binder or lever arch file. Wire-O binding: This method is also known by a number of other names including twin loop wire, double loop wire, double-O, ring wire and wirebind. A C-shaped wire spine with a series of opposing loops is inserted into holes and then squeezed to a round shape. Perfect binding, also known as adhesive or PUR binding: Pages are glued together at the spine, which is milled and notched to let the hot glue penetrate. The cover is subsequently attached there. Spine stapling (saddle-stitching) works well with between eight and 64 pages, with or without a cover. 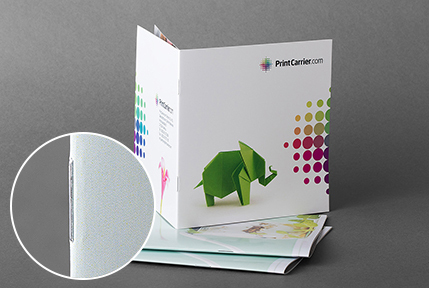 When the inside sheets consist of 70gsm paper and a 135gsm cover is included, the range can be extended to 148 pages. 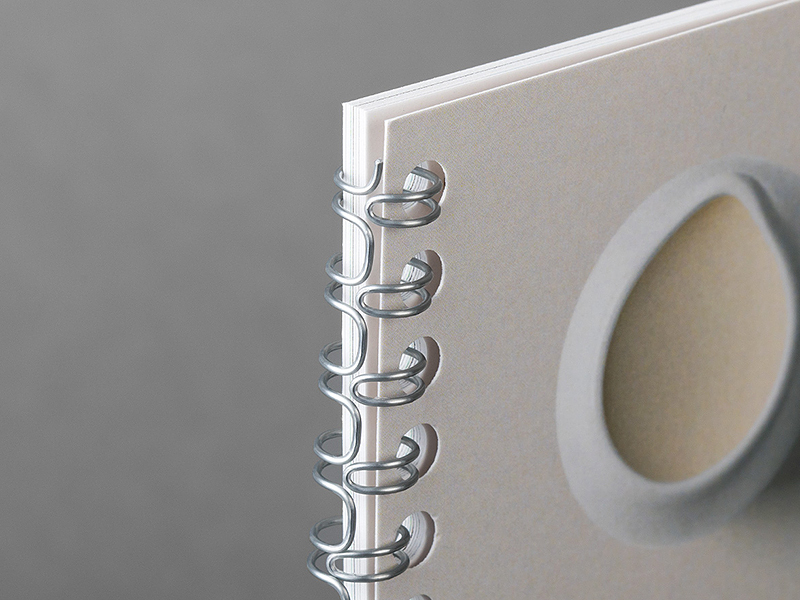 Loop-binding is suitable for between eight and 48 pages, optionally including heavier cover sheets. 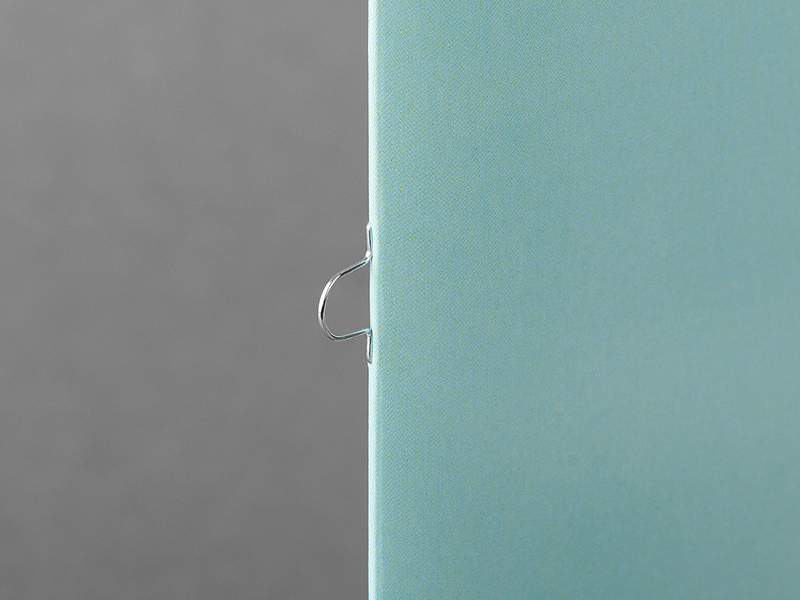 Wire-O binding can be used for between eight and 64 pages, with or without covers. 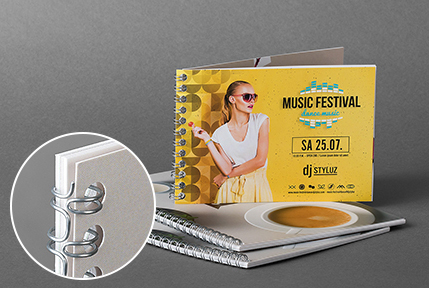 We can use perfect binding for between 36 and 400 pages, always with a plastic-laminated cover.